The Vufold Status range of aluminium bi-fold doors are high performing yet affordable with no compromise on quality or efficiency. 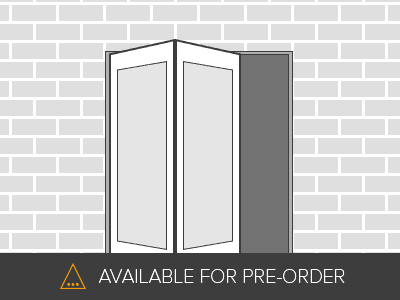 Boasting some of the narrowest sightlines on the market, with a glass to glass sightline of only 123mm, giving you a larger glass area, this grey, triple glazed, 1.8M, 2 door aluminium bi-fold door set is sleek and contemporary in looks. 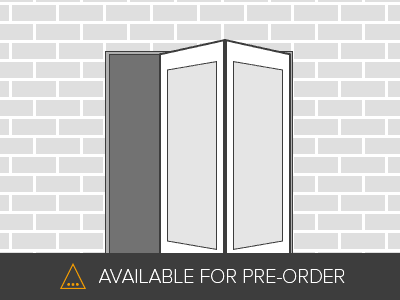 For Maximum security the grey aluminium 1.8m Status has a twin point security bolt locking system operated by an internal handle. Vufold’s unique manufacturing techniques allow the glazed units to be installed during factory production including perfect ‘toe and heel’ balancing. This allows for easy and fast installation by any builder or competent DIY’er.